I have a ton of old machines with Windows 2000 and Windows XP on them. Some of them aren’t even that old or slow. I see plenty of Pentium 4 machines in the bunch so I want to repurpose one of them as a music jukebox. A jukebox is something I grew up with in our pool hall and recreation rooms. The newer ones have CD’s in them and the older ones played records. Ours is going to play MP3’s. Are you excited to build your music jukebox? I am! Start by browsing on over to here and then hit the download link on the left hand side. You will need to download both files. The support files as well as the application. The support files will install the framework for the application. Install the MSI from the first download and then extract the files from the second download somewhere you will be able to find them. 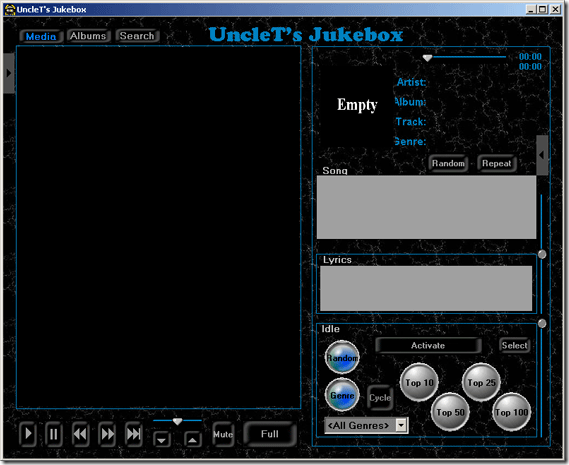 After you have completed these steps run the UncleT’s Jukebox.exe file in the root of the folder where you extracted the files to. The bad part about the application is that you have to set up your music files the way it wants them. Every artist should have their own directory. Each album associated with an artist should be listed as a subdirectory within the artist directory. The song files of an album should be listed as filenames within the album directory. For an older machine you might not want to throw video files in there but if your machine can handle it by all means give it a shot. The software defaults to the assumption that each song track filename is prefixed with unique “track number” digits. If your song filenames do not start with track number digits then no “valid” song files will be found. If this is the case, then simply go into the Options menu and under the “Misc(Page1)” section select “Assign numbers to all song tracks” then reload your library. 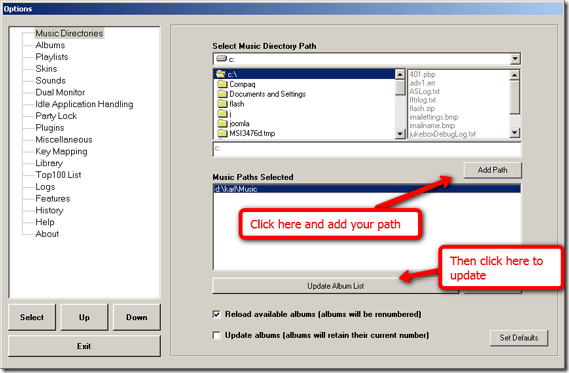 This informs the software that the song filenames do NOT include track numbers and that the software should assign track numbers to each valid song file found. After you get all that completed you will see your music library. Note this is not my library and I am not a country music fan!! The buttons are self explanatory. To launch this full screen just go to your menu and choose full screen. 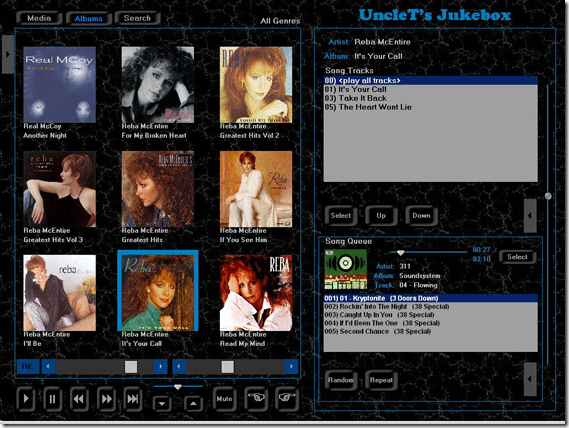 You now have a dedicated Juke Box from an old computer. Good job! And if it’s fast enough you can watch music videos and look at lyrics as well. You will be able to search through your music, create playlists, use the system with a touch screen and much more. This seems to be chock full of options. It does require some time to set up your library but when you are done it sure is worth it! 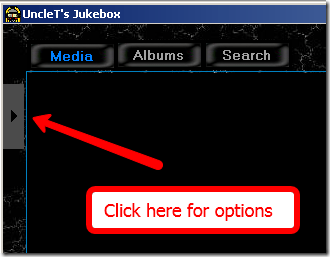 Do you use any other music jukebox software? Let us know your music setup in the comments!